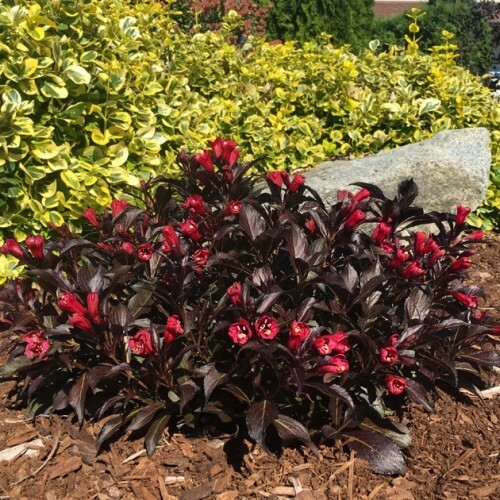 Spark up your outdoor space the first red-flowered, dark leaved weigela on the market! Shockingly vibrant, red bell-shaped flowers cover the dark red foliage. Its also a hummingbird and bee magnet. Weigela have a proven track record for performance and are easy to grow making them the ideal plant for beginner gardeners. Plus, they look awesome! Consider planting it at the front of the border or even in a container. The colour-combo alone is worth it!